I’m not really the type of girl that likes to wear my hair up. Not in a cute messy bun, not in a sleek high ponytail, not even in a cute clip. It’s just not my thing. Even when it’s hot and humid you’ll find me with my long hair down. 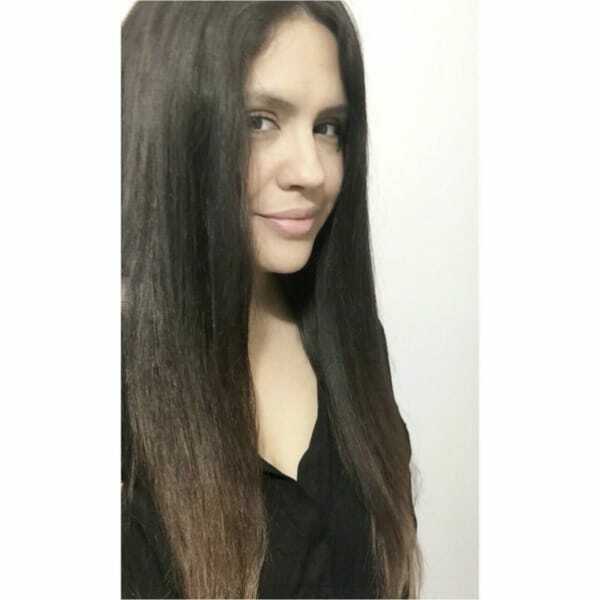 When I lived up north I always wore my long hair straight and as hard as I tried to keep it that way when I moved down here, but the humidity won. 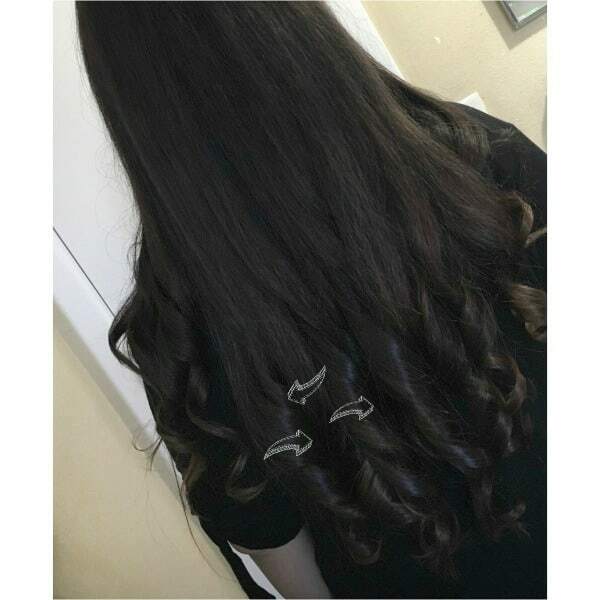 Scroll down to see how I get effortless waves that stay! When I first started wearing my hair this way, my straight hair wouldn’t keep the wave. I tried everything to get the curls/waves to stay but nothing worked. 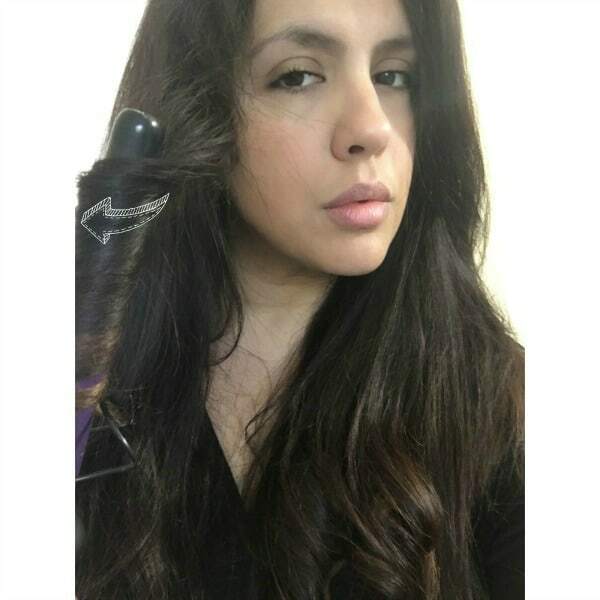 The only thing that would work and keep the waves in place was using John Frieda’s Luxurious Volume Anytime Volume Refresher that gave it the staying power it needed along with lots of bounce and volume. It’s my go-to hairstyle for the most part of the year where it’s mostly warm and I love it (step by step tutorial is below). Lately, since Olivia was born I’ve been feeling a little bit stuck and in need of a change. 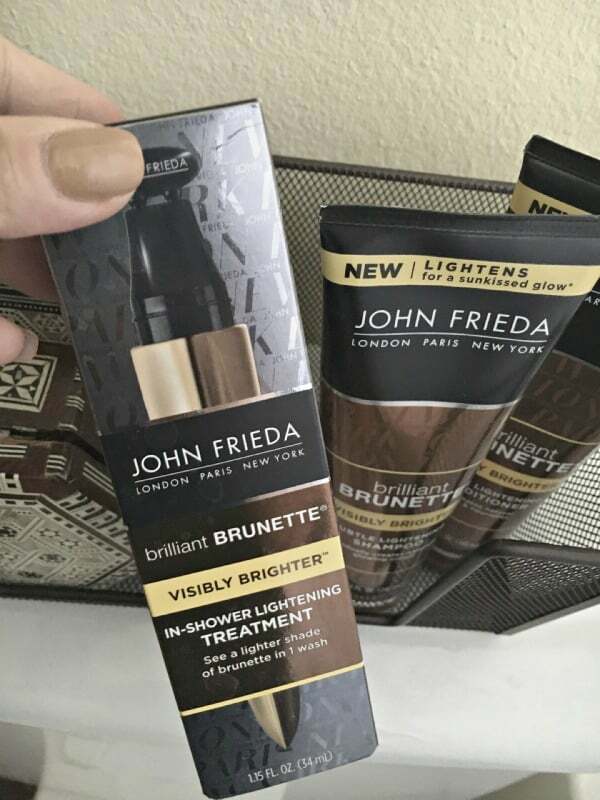 I wouldn’t budge on my hairstyle, but the John Frieda Brilliant Brunette® Visibly Brighter products that gradually brightens for natural-looking sun-kissed brunette & illuminates glowing tones that I bought at Walmart and told you about two weeks ago took care of that. The Brilliant Brunette® Visibly Brighter™ Subtle Lightening Shampoo,Brilliant Brunette® Visibly Brighter Subtle Lightening Conditioner and Brilliant Brunette® Visibly Brighter In-Shower Treatment that lightens up to 1 shade instantly and it gave my hair a subtle but noticeable lightening effect that I’m now obsessed with a cost WAY less than a visit to the salon. 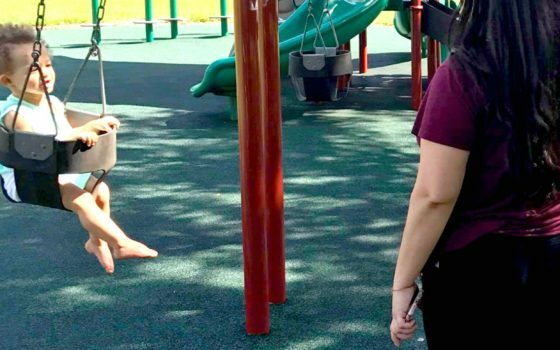 It gave the waves in my hair the dimension that it has been missing since I stopped highlighting my hair when I became pregnant with Olivia. If you’re looking for a quick, inexpensive change to your hair for the warmer seasons, you seriously need to give this a try! If you can’t find them at your local Walmart, simply head on over to Walmart.com for the entire collection. Wash and blow dry your hair. 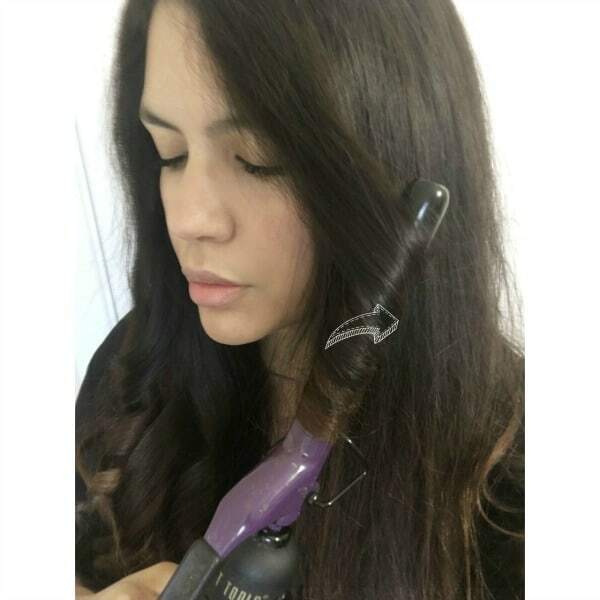 If you have wavy hair, wash and blow dry it straight. 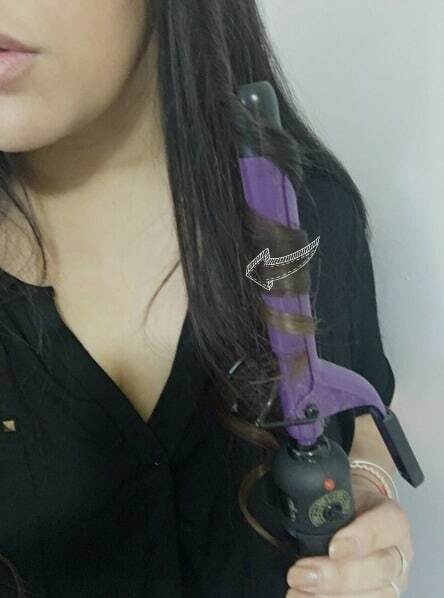 I know blow drying it straight sounds counterproductive but trust me, it works because you’ll have better control of your hair. Spray the ends of your hair with John Frieda’s Luxurious Volume Anytime Volume Refresher and brush. Put the top half of hair up in claw clip. Take the small section of hair closest to your left ear and curl inward. Grab the next small section of hair and curl outward. Continue to alternate between inward and outward across your entire hair. 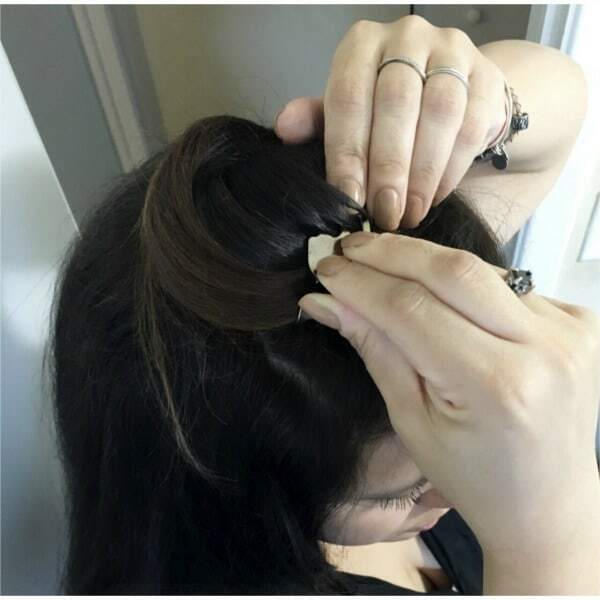 Release the hair in claw clip. 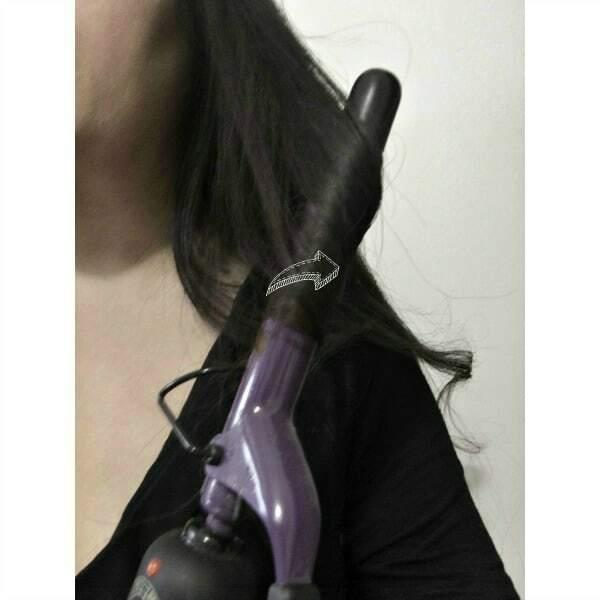 Grab the front end of your hair and curl inward and continue until you reach where you left off. 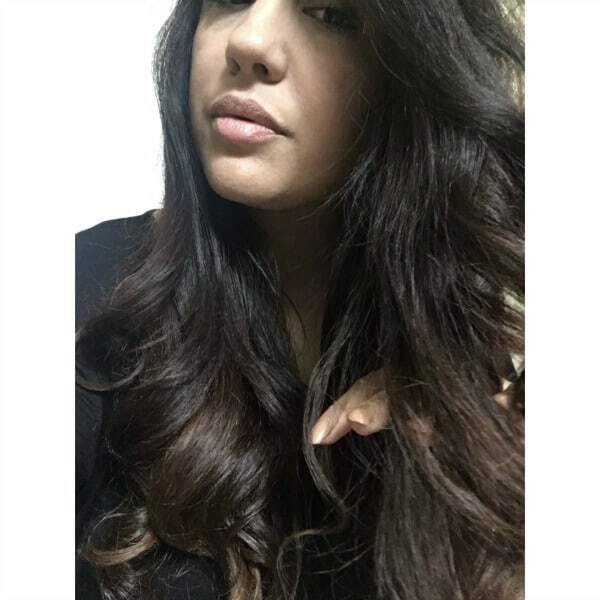 Soften your curls by running your hands through your hair. 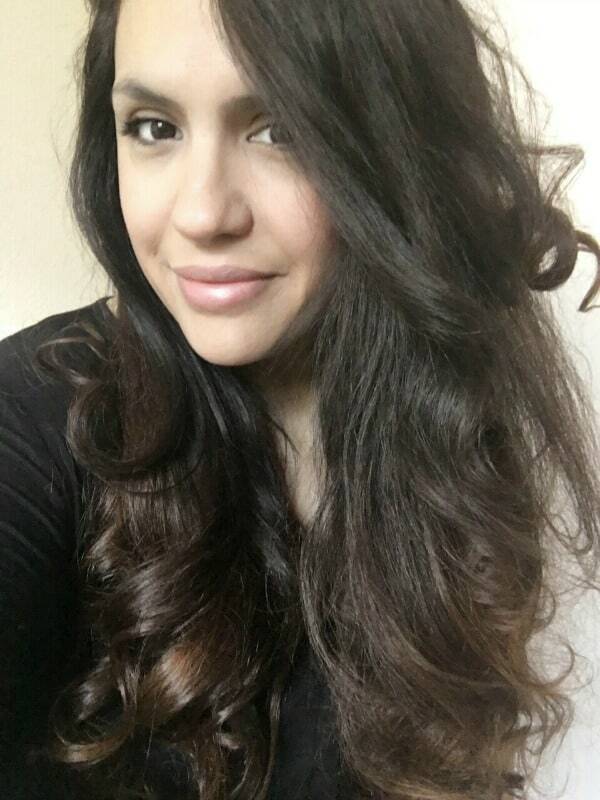 Spray with John Frieda’s Frizz Ease Moisture Barrier Firm Hold Hair Spray and you’re good to go. 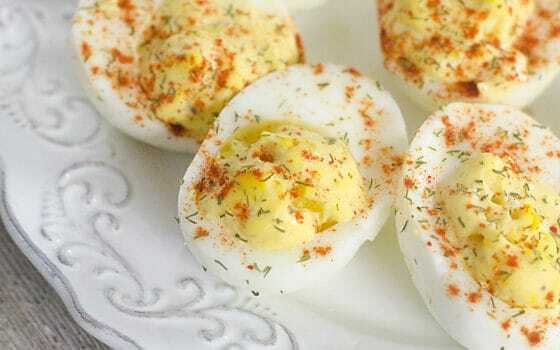 Once you get the hang of this it’s super easy and last about five days. It’s the perfect style if you want to keep your hair down but don’t want to have a head of frizzy hard to manage hair. This effortless hairstyle is perfect when you combine it with John Frieda Brilliant Brunette® Visibly Brighter™ products that instantly lightens for a sun-kissed brunette look that is exactly what the warm weather calls for. I don’t like to wear my hair up either and I definitely need some effortless waves that will STAY! Love that style! 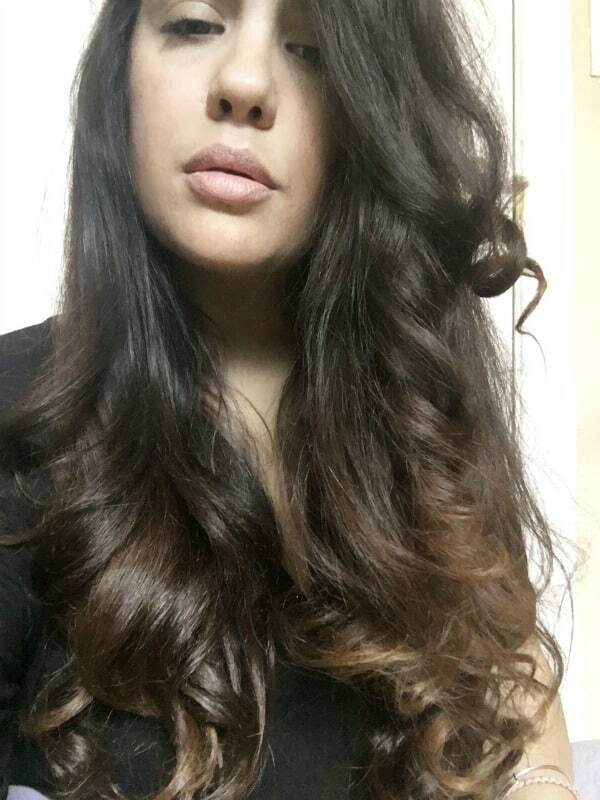 My hair is similar length and curls have a hard type staying put. 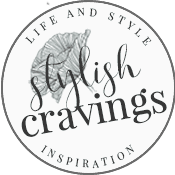 Will definitely check out these products! Love your beach waves!! One day my hair will be long enough! Your hair is beautiful! I love effortless waves. Love the look! I can see myself wearing my hair like this with little to no fuss. Thx! I love your hair! You have such beautiful hair. Thank you for this review. I have never heard of these products before. I need to look for them the next time I’m out. My hair needs all the help it can get. I am very much a ‘hair up’ girl!! But those waves are STUNNING! I wonder if I could pull them off?! Your hair looks beautiful!! I love the curls and hair color on the ends! I wear my hair up too often because I have no idea how to style it. I do, however, have a curling iron and dry shampoo, so I’m going to have to give this a try! Thanks for the tips! Your hair looks gorgeous! 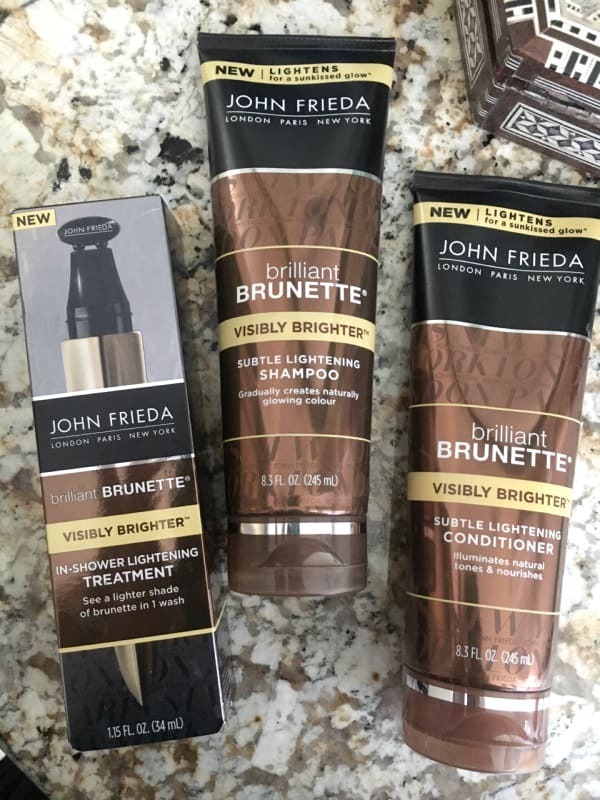 I used these products years ago and will have to try them out again, John Frieda really has some great stuff for all different hair colors! JOhn Frieda is a wonderful brand. I love their Frizz Ease Line. These look like great products! I love your hair.